You already have a good collection of images that can be used as stock photos (even if that is just 15 or 20 images). They are well organised on your hard drive so you have access to them, either digital or ready scanned from slide film. Scans of prints or consumer print film will probably not be accepted due to the poor quality of images on these formats. Read more about the kind of image subjects that sell well as microstock. I will also add the caveat that I really do recommend upload to more than the 4 sites I have listed here (6 or 8 would be typical), but you will soon realise that just 4 sites is still a lot of work to upload to, so for the 15 hour startup we will work with just the top 4 sites and see how things grow from there. Getting paid. I strongly recommend paypal as the option to receive your microstock earnings. It is most convenient, and as a microstock photographer you will get a stream of relatively small (at first) payments either monthly or for the less popular sites perhaps each few months when your have earned enough to receive a pay out. As you will see you have to wait untill your have earned 50 or 100 USD to request a payout or have it sent automatically. The larger sites allow payment by cheque or perhaps bank transfer in come countries, this is fine but it's harder to keep track of, and you will be spending more time on administration that is earning you nothing. Prepare a small avatar image of yourself to include in your profile, this again adds professionalism and makes you look more credible (it should be a picture of your face). Needless to say you should fill out all the profile details with your location and as much information as you can, you do not want to look lazy while the spotlight is on you. When applying to become a photographer most microstock sites ask for some sample photos, perhaps not all five of the ones you have preprepared. Alternatively they will review the first images you upload as samples. So upload as many of the 5 as you can. Some sites ask you to pass questionnaire, the requirements change from time to time. It might take quite some time to approve your application to become a photographer. If you can't answer the questions then it's time to go back to photography school and do some more reading. If they reject you because of the quality of your photos then don't become disheartened (especially if it is just one site that has rejected you) you probably have a few things to learn. I'd suggest seeing how your work is reviewed in the smaller sites (the big sites are very critical of the photos they accept). I frequently get photos rejected, it's just part of the process each site has to maintain quality and image style in the microstock marketplace. It's become almost universal among the major microstock agencies to request some kind of verification of your Identity and country of residence. Most US based agencies also want you to complete income tax forms. If you are contributor from outside the US, you will discover that agencies are bound by US law to withhold tax at 30% from your royalties for sales to buyers located within the US. Many countries have a tax treaty with the US which reduces or removes this withholding all together. It's likely you can skip identity proof / tax forms for the time being, but at most agencies you will need to attend to them before be you can receive payout. Using the same process as step 3 for istockphoto, signup and upload your first review/application images the following three agencies. You will perhaps have to wait a week once you have signed up to become a photographer for you r application to be reviewed. If you are wondering why we chose these agencies read our post about recommended agencies and also see our list of all the microstock sites we have reviewed, where we also provide an indepth review of each site. The top 4 sites I have recommended here have at least 10 million images each, and their acceptance levels are very high, don't let this put you off trying to sell your work. The smaller microstock sites might still be a place to start. Sites like the ones I've listed below will accept your images more readily as they are still growing their image collections, BUT be aware that in some respects these sites might be a gamble (with your time) and at present they certainly do not generate the same income per photo that the top sites do. mostphotos accept all images (be careful with trademarks etc) limited sales. Keywording, first up we need some software to apply our title, description and keywords to each image we will be selling. You can do this manually on each site you upload to but you will soon see that it is better to embed the keywords into each image so I will explain. I use Adobe Photoshop and Adobe Bridge (which comes with Photoshop) it's the tool of choice for professional photography, but NOT a requirement. I recommend Photoshop, you will save a lot of time using Photoshop instead of learning a free software tool, then relearning another software tool when you outgrow it, there is always a price to pay with free software be it advertising, nag screens or lack of features. Google picassa is one option which might work. There are lots of other free tools available but don't worry, I am going to suggest one to use in the next hour. You will probably never have set IPTC XMP keywords/title inside a .JPG image so use the rest of this hour to review how it's done and what it's all about in our guide to Image Keywording Software. Even if you don't have Photoshop in the next step I will show some free software that allows you to edit your files details, and even if you have Photoshop to keyword with we will use this software to upload our images in batches to our selected microstock agencies. By now you should have some idea about how to apply IPTC keyword metadata to your images. Even if you already know how to keyword your images, we are going to use a free piece of software called prostockmaster to keyword and upload in the next step so read on. Alternative: You can skip the prostockmaster keywording and use your own software for that part if you like. As an option you can skip prostockmaster all together if you want to upload manually to each site or use FTP software to upload batches of images. In this case you will have to work your way through the remaining hours making appropriate changes to the process along the way. For the rest of us prostockmaster is a free application for Apple and PC platforms (and also linux for the brave) which allows you to keyword and title your images ready for upload to the major microstock sites. We have a prostockmaster review where you can read more about it, It's not perfect, but it does the job for this introduction. For this hour, read the above article and download pro stock master and install it. Copy (not move) 5 images you want to upload into a new directory perhaps titled 'imagesforpsm' or something like that, open the software and have a little play around to see how it works. Select the sites option and insert the usernames and password that you setup for the agencies in hours 3 and 4. Do make sure that you enter the correct password and username as prostockmaster will not warn you if it they are wrong! Do the keywording, start by reading Titles and Descriptions that Sell and Keywording Nirvana. Now use prostockmaster (or your chosen tool / upload service) to keyword, title and describe each of your 5 images you think will sell well from the previous hour. Include at least ten keywords and a description of at least seven, some images will easily have many more keywords, some you will struggle just to find ten. Do the upload thing. The great thing about having software to assist your upload is that you don't have to visit to each site to upload images. You do still have to visit the sites to set categories but the software takes the tedious repetitive steps out of the process. In prostockmaster select each image in turn and tick the upload box for all sites (this might be different in more recent versions but either way you want to upload all 5 images to all 4 of your current microstock sites). Click upload images and sit back. We will use the rest of the hour once the upload has completed. เอาละ การอัปโหลดเสร็จแล้ว ล็อกอินเข้าไปในหน้าเอเย่นของคุณ เพื่อติ๊กเลือก the 'pending uploads', 'process ftp uploads', or 'submit for review'. Second time around it should take you about and hour or less to select 5 more images, keyword, upload them with prostockmaster (excluding the upload time) and login to categorise and submit. Remember the limitation of prostock master free version is that you can only upload 5 images per 24 hours, so this will have to be a day later unless you want to buy a commercial version. So how did you get on? hopefully some of your images were accepted? 50% is not an unreasonable acceptance rate for a beginner in my opinion, specially if most of your images were accepted at one agency or another. At this point you'll want to review how you are uploading, and how you will work in the future, perhaps you set aside an evening to keyword as many images as you can, upload them overnight, then submit for review next evening. Remember if it's more than five then you need to pay for prostockmaster or find an alternative. Perhaps visiting each site to upload the images in batches separately using the normal web interface works best for you. Perhaps you prefer to work in batches of five regularly as we have been here. The choice is yours, and as a microstock contributor you will be constantly reviewing your workflow to see how you can save time and make life easier. Many full time contributors use tools like prostockmaster to aid their workflow, others use FTP clients and browser plugins to upload. You can read more on this in our photographer guides related to workflow optimisation. Devote the final hour to reviewing the lists of images that the stock sites want, and more important the images that they do not want - these are almost guaranteed rejections if you upload them. Most of the major sites publish and update these lists. Think about which of these images you can shoot easily with the best results.Then plan your next photo session. You might still have a huge catalogue of existing images on your computer to go through so that might be an alternative to shooting new images for a while. Again, read our post on the types of photos that sell the best. Also review the sales you have had and see what is selling for you. 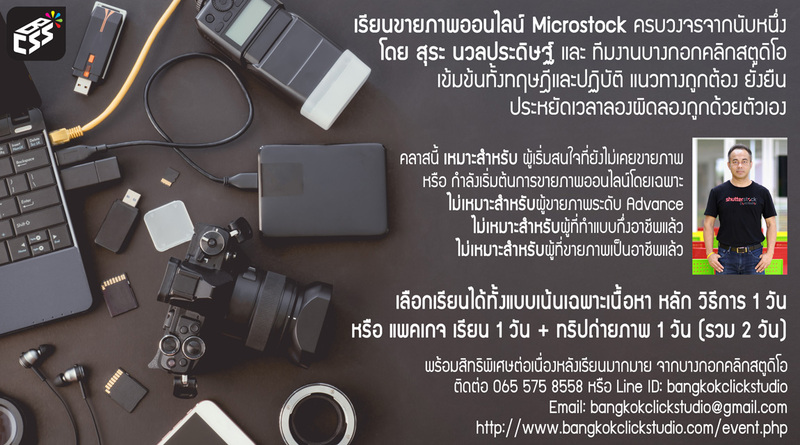 Experience and ultimately success in microstock comes through continual evaluation of results and improvement in your photography skills. With microstock you can work and learn at your own pace, and having a microstock community supporting you means you can rely in fellow photographers for help and advice provided that you don't ask questions that have already been answered many times before on sites like microstockinsider.